It’s FINALLY MARCH!!! For me, March 1st is officially spring, whatever the weather may be. I wanted to ring in spring with outfits that showcase spring colors, but are still warm enough to wear since I am not entirely delusional and realize that it may or may not actually still be winter outside haha. Grass green is the ‘it’ shade this spring. Designers from JCrew to Banana Republic to Stella McCartney have brought this color into their spring lines. I am obsessed with it. I decided to pair it with lots of white and navy for a crisp work look. I also can’t get enough of this adorable gingham clutch. It adds an element of spring / happiness to this work look. How fantastic is the bright yellow rain coat?! I think everyone needs a standout raincoat – something that brings some brightness to a gloomy rainy day. This bold yellow coat certainly does that! 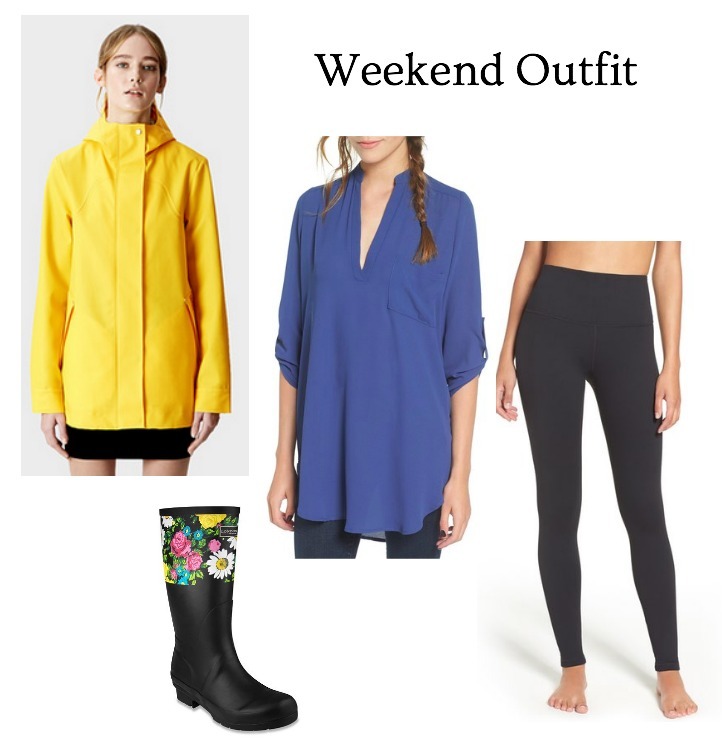 Same goes for the rain boots- I love the touch of floral. These are definitely chic enough to be worn all day. I decided to pair these with my favorite leggings (they are the most comfortable) and this blue shade of a the classic Lush tunic. I have this tunic in 2 other colors and definitely want this blue shade for spring. "Olivia Pope Style (and why you should buy a winter coat now!)" 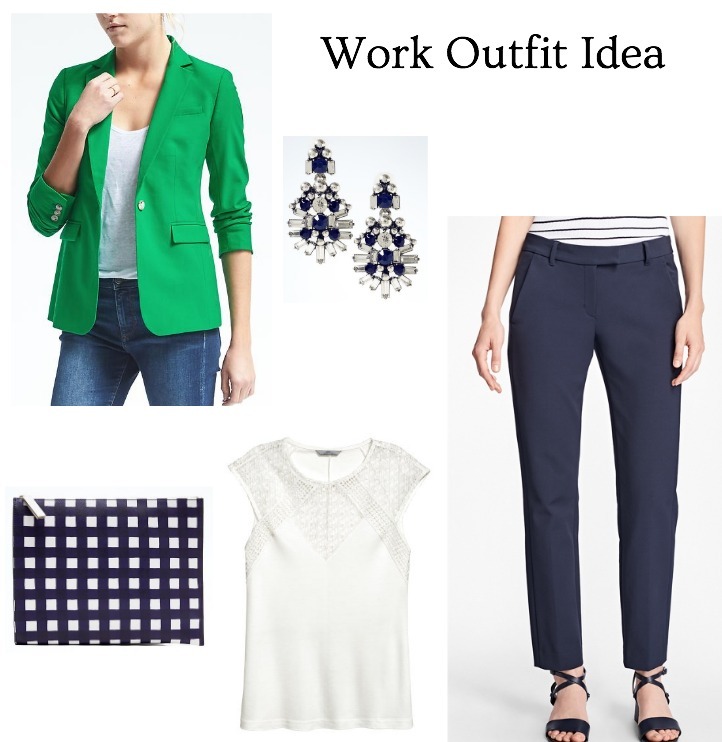 "Trendy and Professional Work Day Outfit"
I am so drawn to that bright green blazer! I especially love it how you paired it with the navy pants!